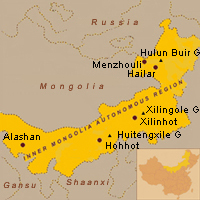 The Autonomous Region of Inner Mongolia in the north of China borders with the Republic of Mongolia and Russia. It is the widest province by its latitude in China. The nomadic tribes from the once fearsome Mongol nation were the reason for which China’s Great Wall was created. Its peculiar natural scenery, long history and brilliant culture make its sites unique and spectacular. 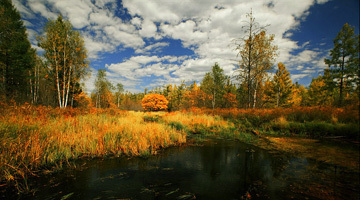 The most attractive about Inner Mongolia is its natural beauty. 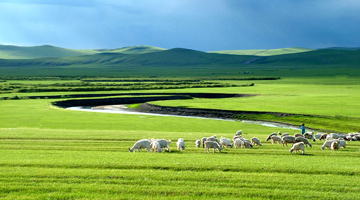 Vast grasslands like Huitengxile, Xilin Gol and Hulun Buir Grassland show a calm and impressing landscape. 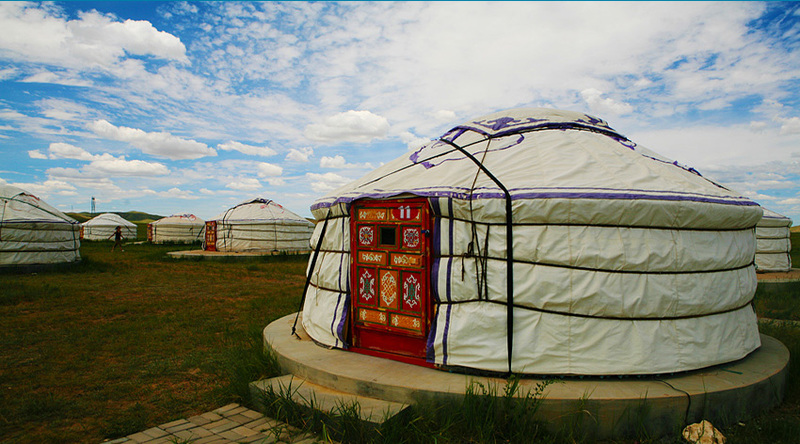 The mushroom-like yurts, bright sky, rolling grass, herds moving like white clouds on the remote grasslands, all this let one quickly forget the troubles of modern big cities. Especially around Hohhot one will find interesting cultural sites like the Dazhao Temple, Xilituzhao Palace and the Zhaojun Tomb. In the western part of the province the deserts are located. 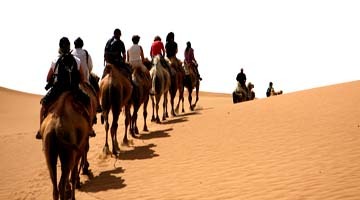 The most visited ones are the Badain Jaran Desert, Tengger Desert and Kubuqi Desert. The Gobi Alashan shows high rolling dunes, salty spring-fed lakes and is often visited by scientists and explorers.